Look, there are lots of things to love about the South. It's clean and quiet. There's delicious food, good people and often amazing weather. But that's exactly why it makes us so sad to think about all the ways in which the region is struggling today. First off, poverty rates are a lot higher in the South. In fact, as many as one in four Southern kids lives in poverty, compared to the national average of one in five. In the map above, red shading indicates a poverty rates between 17.9 and 22.8 percent. Orange indicates 15.9 to 17.8 percent; light orange, 12.2-15.8 percent; pale yellow, 9 to 12.1 percent. 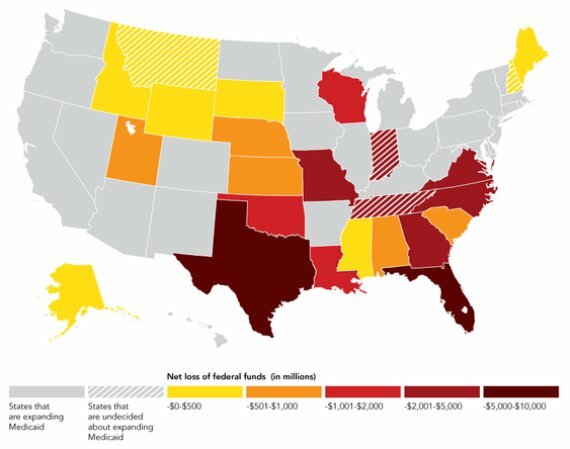 As you can see, there's a lot of high-poverty red in the South. And minimum wages are much lower. Virtually no Southern states, with the exception of Florida, have a minimum wage higher than the federal floor of $7.25 an hour. 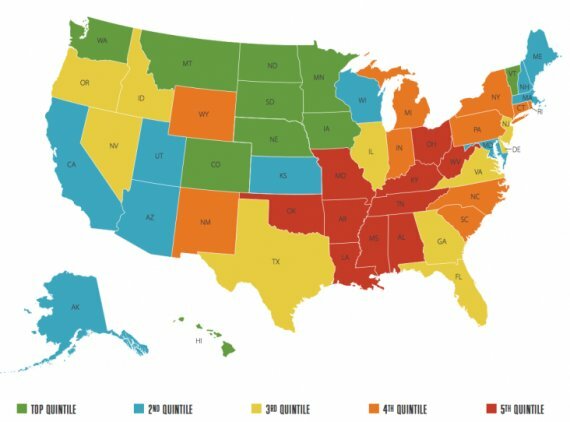 Many Southern states do have relatively low living costs. But they are not dramatically lower than costs of living in other states, such as Ohio and Missouri, that have set minimum wages at least slightly higher than the national limit. The Southern states are doing the absolute minimum for their poorest citizens by keeping the minimum wage at the lowest levels possible. And people living in the South are a lot less likely to move up the economic ladder. If you want to achieve the American Dream, don't move to the South. That's because states in the South have extremely low levels of economic mobility. In the map above, pale yellow represents places with higher mobility, while red indicates low mobility. Many living in poverty in the South are being denied access to affordable health care. States that didn't choose to expand Medicaid under Obamacare are highlighted in lighter gray. ...which is costing these states a ton of money. 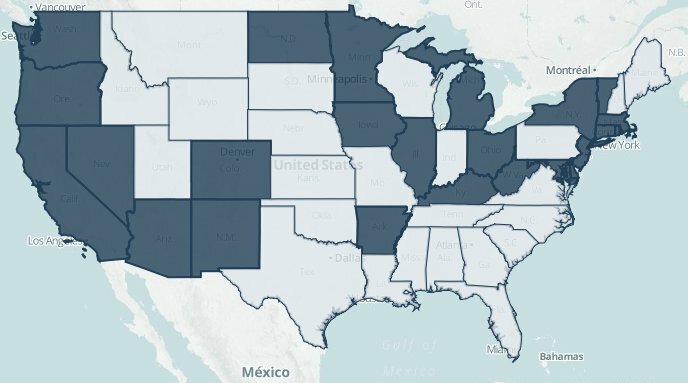 This map shows how much money the 19 states that rejected Medicaid expansion will lose by 2022 as a result of doing so (assuming all other states participate). 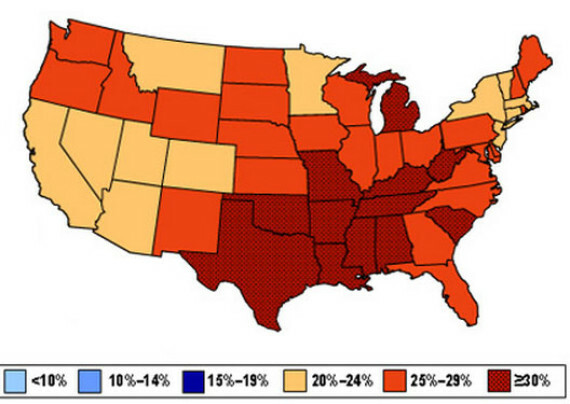 This is particularly troubling because the South has several health crises on its hands. Like obesity. Obesity rates are too high across the U.S. But they're particularly high in the South. Southern states also have a higher percentage of cigarette smokers. 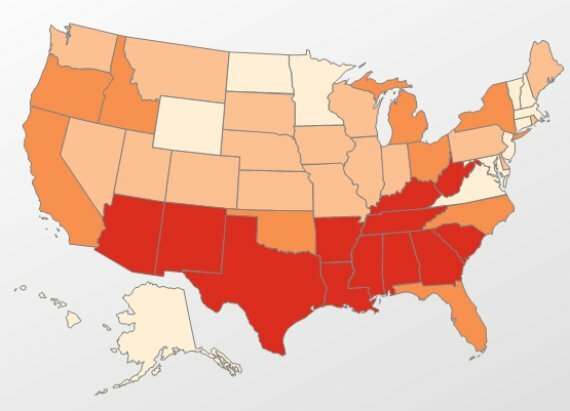 Most Southern states have a higher percentage of smokers than anywhere else in the country. 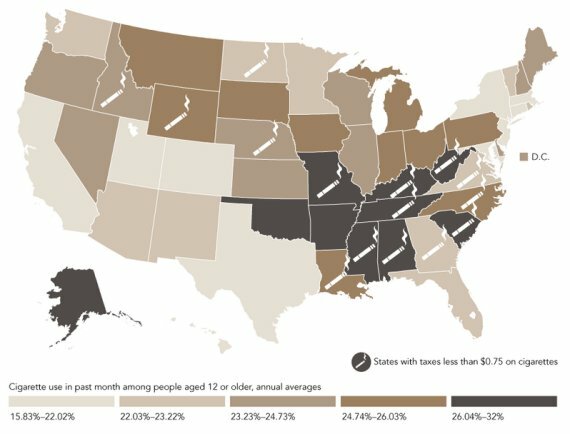 Incidentally, most Southern states have relatively low taxes on cigarettes. And a much higher rate of teen births. 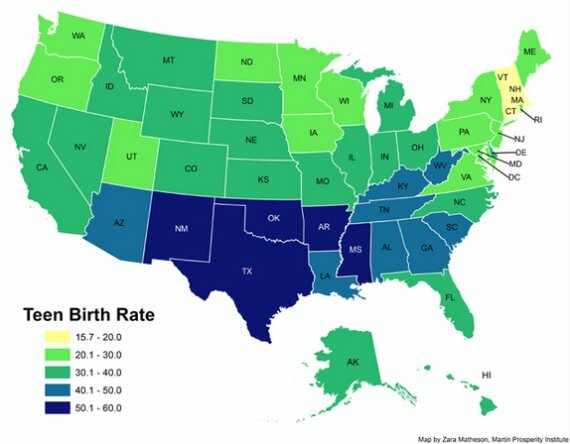 The map plots birth rates among women ages 15 to 19. 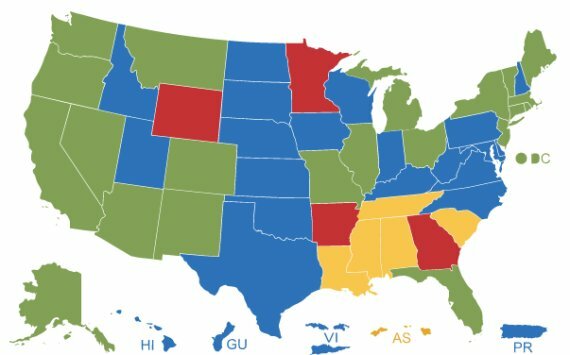 In states shaded dark blue, there are more than 50 births per 1,000 teenage women. Perhaps all this is why some Southern states are among the least happy states in the country. That's according to Gallup's recent "State of American Well-Being" report, which surveyed thousands of Americans and ranked states based on an average of six measures: "life evaluation," emotional health, physical health, healthy behaviors, work environment and basic access to things like food, water and shelter.